Reprocessed composite of Zond 3 images taken on July 20, 1965. 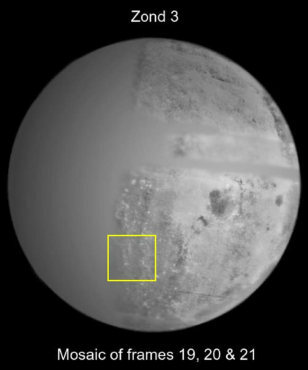 The South Pole-Aitken basin’s eastern outer rings are seen within the box. The dark area right of center is Mare Orientale and the Earth-facing Oceanus procellarum is seen near the right limb.